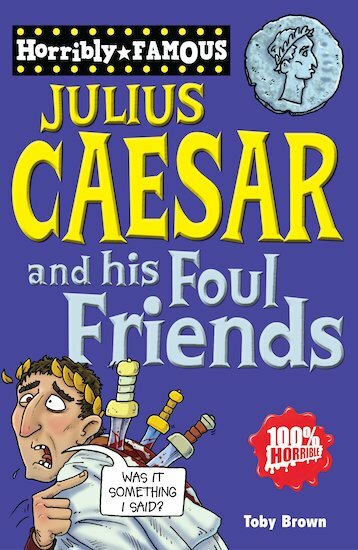 Poor old emperor Julius was full of sick stunts… till he got backstabbed by his double-crossing buddy Brutus. What a foul way to get famous! Toby Brown is a Senior Broadcast Journalist for BBC News 24. He was a key player in their broadcasting of the events of September 11 and was part of the BBC team at the White House during the early stages of the war in Iraq. He has a first-class degree in history from Sussex University and is the author of Dead Famous: Spartacus.